identified with the addition of variable data. This data can include date codes, lot codes, expiration dates, and further production information like plant location, shift code, and production line. Accurate product traceability is vital to compliance standards and also to ensure brand protection. American Film & Machinery is the single source supplier for all of your shrink sleeve labeling needs. AFM manufactures and supplies heavy-duty shrink sleeve labeling equipment, steam, electric and infrared shrink tunnels, and shrink sleeve consumables. BestCode designs and manufactures industrial printing systems that print real-time marks including lot/date, sell-by dates, expiration dates, and more for all types of consumer goods. BestCode systems are available in high speed configurations, and print reliable marks to ensure product traceability for the consumer. Code Tech specializes in cost effective, high quality inkjet marking and coding systems. Code Tech offers anti-counterfeiting, edible and rub resistant inks, UDI solutions, 2-3 second dry times, harsh environment-rated equipment, and multilane printing. No matter your situation, Code Tech has the solution for you! 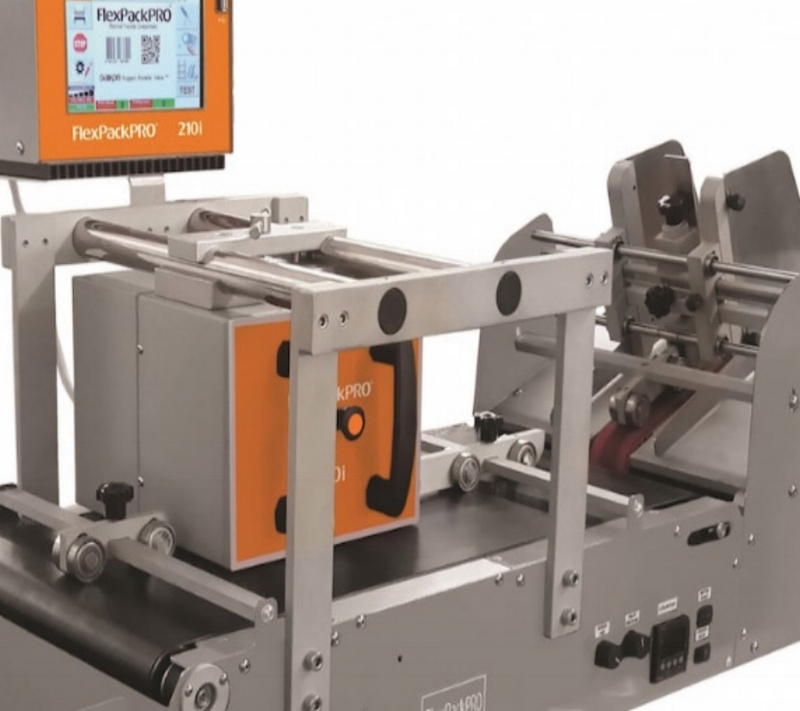 FlexpackPro offers an innovative and broad line of well-priced, high-resolution coders for thermal transfer overprinting (TTO). TTO is a cost effective way to print bar codes, lot numbers, date codes, text and graphics on all types of flexible packaging. Using a thermal transfer print head it marries ink from ribbon onto flexible packaging to provide high-resolution prints. FlexpackPro represents excellence in performance, flexibility, and value for the industry. Label Mill has years of experience providing labeling automation that is both quick and precise, and will keep your line running at its best. Label Mill not only offers you a standard product line, but they also design and build custom labeling equipment including conveyors and traversers catered to ideal material handling. 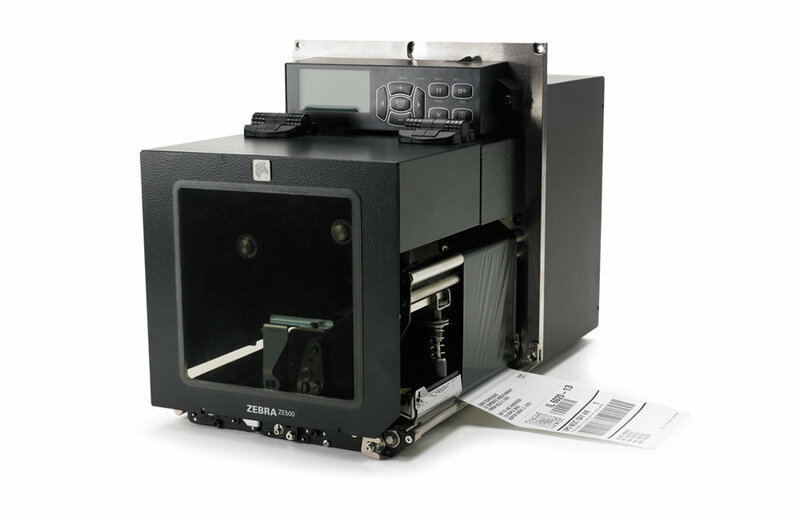 These solutions include apply-only, and print-and-apply labelers in both semi-automatic and automatic configurations. Macsa began developing laser systems in 1990. Since then Macsa has continued to research and innovate new products. Macsa products are easy to install and even easier to use. In addition, they have a broad range of laser coding and marking equipment, for both the packaged goods and industrial markets. Squid Ink is a manufacturer of coding and marking systems for product identification and traceability. They provide superior quality inks and low maintenance printing equipment. Squid products are designed to be a reliable, cost-effective solution to your industrial printing applications. Tronics America is a supplier of pressure sensitive labeling machines and heat transfer label machinery. Tronics labelers require fewer adjustments, are simple to use, and are reliably accurate. Their experience in primary-product labeling makes Tronics the right choice for your labeling needs. Secondary packaging has two major functions. The first is to protect the contents within and aid with secure and efficient transport. The second is to help promote branding and make the item more easily recognizable on store shelves. The most common forms of Secondary Packaging include corrugated and chipboard boxes. Master packaging is the final box that the product (in bulk) will be shipped in. and other information such as quantities, weight, product number, date codes, and lot codes. Master Packaging coding is typically achieved with either labels or inkjet printing directly onto the carton. FoxJet offers a wide range of industrial inkjet printers. FoxJet understands the need for the quick change in information for product identification. With FoxJet printers the message can be changed with the touch of a button, offering the customer the flexibility and reliability their operators need in order to succeed. TEKLYNX is the leading developer of barcode labeling software solutions. TEKLYNX software allows you to automate your label printing, securely track labels and store your label designs in a central repository. This will streamline your labeling process - saving you both time and money. This worldwide brand specializes in case coding and marking applications. These cartridge-based printers are easy to install and represent the lowest cost of entry into the world of case coding. These machines produce consistent high quality, readable codes from the first printed message to the last. Thermal Transfer Printing utilizes heat generated by the printhead to create a mark on many flat substrates - typically a label. The mark can be any combination of alphanumeric text, barcodes, and logos. The most common substrate varieties are Thermal Transfer and Direct Thermal. Thermal Transfer utilizes a Ribbon, which is the carrier for the ink. With Direct Thermal labels there is no ribbon utilized because the label has a special coating on it that reacts with heat. Palletizing begins with a flat structure who’s purpose is to support and transport your goods. The products on the pallet are typically secured by stretch wrap, glued to each other, or are strapped down. Once secure, the pallet is often labeled, which depicts total pallet weight, a count of the products present, and any other appropriate information. Proper palletizing allows your product to be transported in a secure manner, and processed easily by the recipient. Universal Robot’s 6-axis arms are ideal to optimize lower-weight collaborative processes, including picking, placing and testing. These robotic arms can be used by all levels of production staff to help increase productivity, and reduce injury. 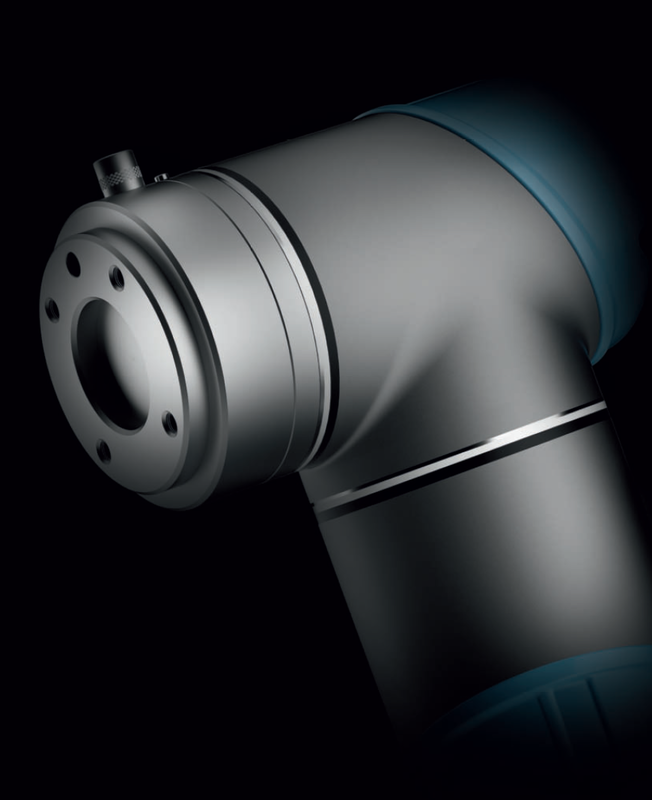 Using the Universal Robots’ products will allow you to automate and streamline repetitive and potentially unsafe processes. Many times customers are presented with situations where they need a key design to fulfill their business’ needs. A complete turnkey solution is a system built specifically for the customer’s requirements that is ready to use upon delivery. Turnkey solutions can allow you to be more efficient which results in an increase in productivity and accuracy, all while reducing labor costs, and the likelihood of injuries to employees. This turnkey solution incorporates two conveyor belts, one TTO printer, and two label applicators. It has the ability to apply a label on both the top and bottom of the product as it moves across the belts, all while adding a printed lot code to one label. This custom solution increases efficiency and productivity for the client by letting their production continue at the maximum output, all while maintaining traceability. 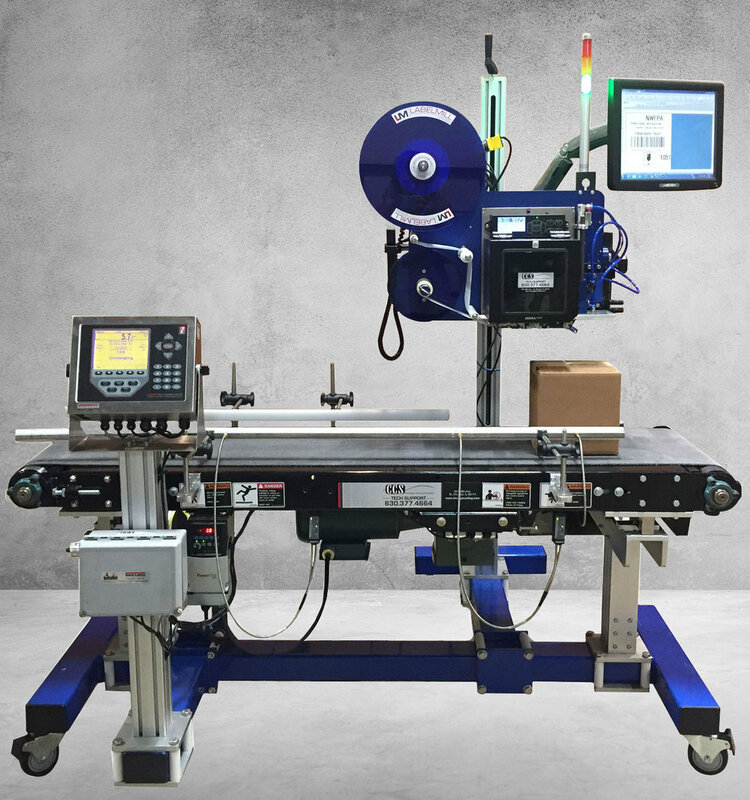 This turnkey solution combines a print-and-apply label applicator with a check-weighing system. The product is weighed as it moves across the conveyor and that data is recorded and printed onto a label that is applied to the product. This inline “Catch Weight” system ensures the correct weight data is printed and applied to every box of product. safe while operating the laser.